Zorbs, Footgolf, Football & more! At Evo Events we have group activities that you will love and have lots of fun playing. Book your Zorb Football, Footgolf or 5/6-a-side Football with us for a priceless experience that you and your friends will never forget. Put the Zorb suit on and smash into whoever and whatever! If that sounds fun then you will love this. 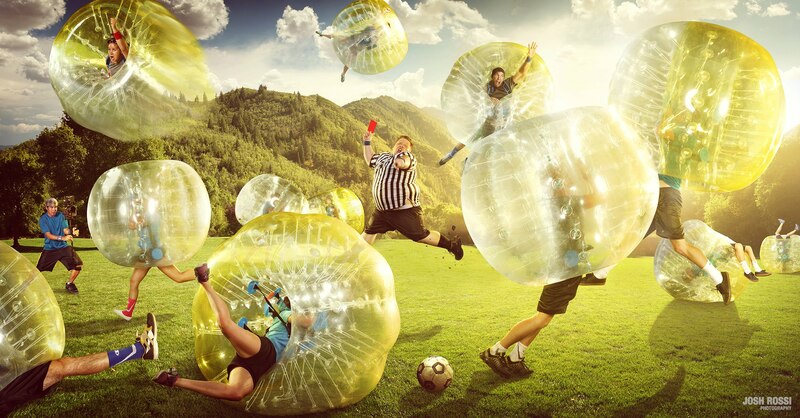 The zorbs protect you from head to knees so you can enjoy the adrenaline. If you are wanting to enter a team into a 5/6 a side league with your mates, work or club then you have come to the right place. Welcome to Football Evolution the home of small sided football leagues in parts of the UK. See our website to find our nearest league to you. Ready to have fun? … What are you waiting for? Contact us today to ask about our packages & price list! For details on our packages and prices, either call, send an email or fill in the contact form and we'll get back to you as soon as we can.